Originally designed with scimitar rudder and shark fin keel. Later given a taller mast, updated interior, and sold as the VIKING 34 (1973). 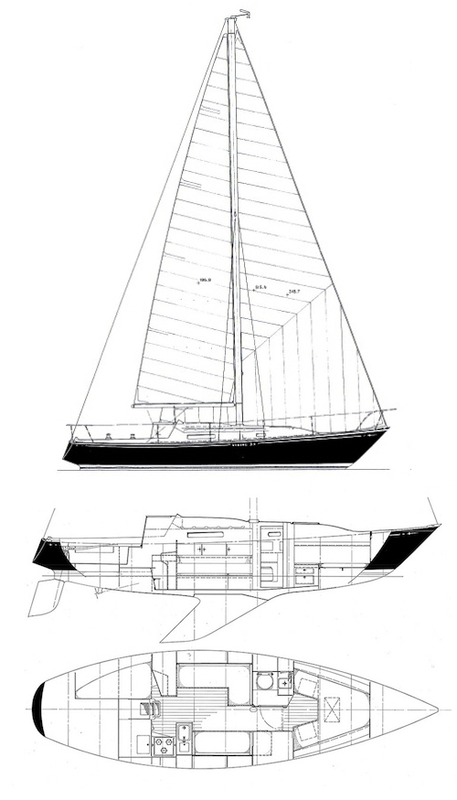 Thanks to Ken Heaton and, separately, Hugh Johnston for providing additional information and improved drawing of this yacht.